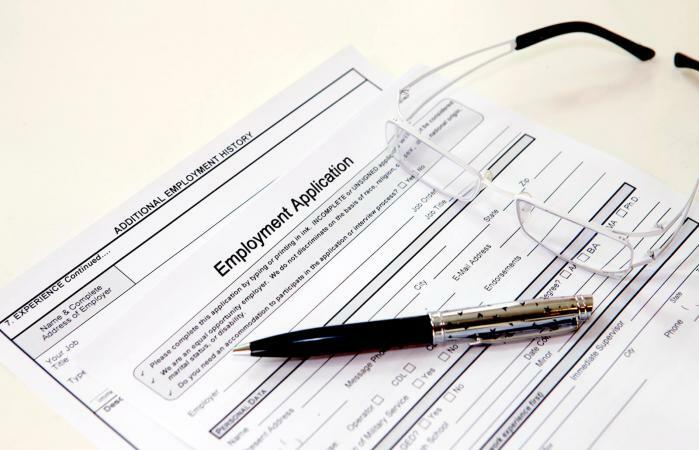 A blank job application is a helpful tool for company hiring managers and people who are looking for work. Whether you are looking for a starting point for creating a document that your company can use for applicant screening or if you want to get a sense of what types of information potential employers are likely to ask you to provide, the sample document provided here can be very beneficial. To access the blank application form, simply click the image. Once you do, the document will open in as a PDF file in a separate browser window. Once the file is open, you will be able to view it on the screen, save it to your computer or print it using the menu bar commands. If you need help downloading the printable, check out these helpful tips. The document is also editable, so job seekers can use it to set up a filled-out template to use as a guide when completing real applications and hiring managers can use it as a starting point to create an application specific to their company's needs. Click to download a blank job application. Completing a sample document like this one can make easy work of filling out real applications when applying for work. Spend some time gathering all of the information you need to create the blank document and fill it out completely, proofing carefully before finalizing it. Once it's finished, you can use it as a go-by tool as you submit online applications to prospective employers. Having all of the information you need in one place will make the process go much faster and easier. The application that you use to screen candidates needs to be specific to your company, so the document provided here might not meet your exact requirements. However, it is a good starting point with which to begin. Make changes to the document based on your employment needs and company policies so that it's a valid screening tool for your organization. Before you finalize the document for use, have your attorney review the document to be certain that it's in compliance with all of the laws and regulations that apply to your company, keeping in mind that some requirements vary from one state to another. 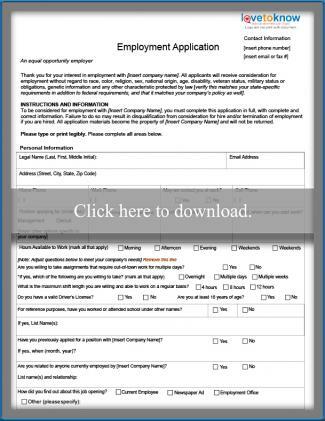 Whether you're looking for work or are responsible for a company's hiring, using a sample application like the one provided here can help you save time in the long run.